Batch Management software can be used for the most complex batching processes that require a high level of flexibility. Equipped with easy-to-use recipe configuration tools, process engineers can quickly create or change recipe procedures and formulas without requiring any expertise in the underlying control systems. Wonderware® InBatch® is control system independent batch management software that can be used for the most complex batching processes that require a high level of flexibility. 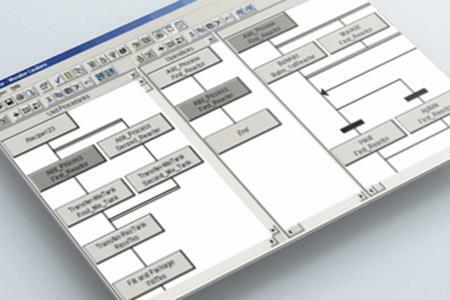 Equipped with easy-to-use recipe configuration tools, process engineers can quickly create or change recipe procedures and formulas without requiring any expertise in the underlying control systems. InBatch’s uniqueness is in its process capabilities model, which goes beyond ISA-88 to include transfer phases. This enables the batch engine to manage flexible product paths, allowing simultaneous multi-product and multi-stream batch execution on shared equipment. Built-in security and material management capabilities including material consumption, movements and inventory levels contribute to a comprehensive Electronic Batch Record (EBR) and reduce the cost to comply with industry regulations.